23" Long. 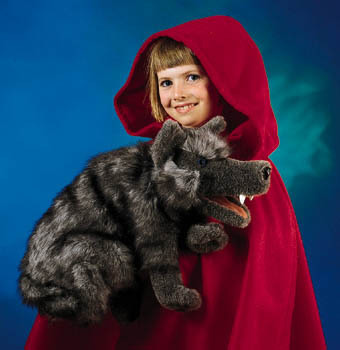 Whether he's blowing down houses or dressing like grandma, this big bad Wolf provides hours of storytelling fun. With such soft fur and bright blue eyes, he couldn't be all bad. Or could he?